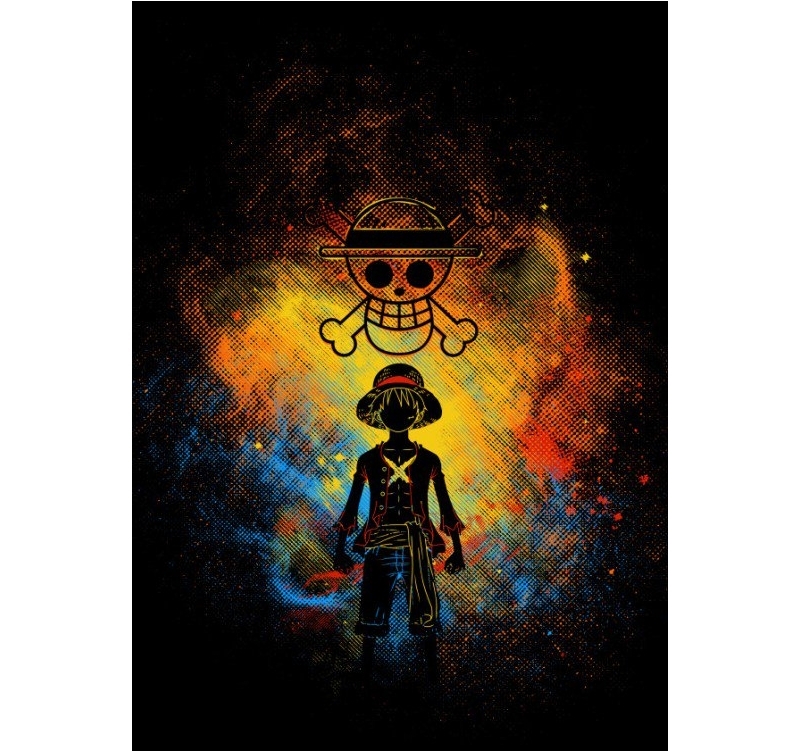 Unique illustration of manga pirates on a metal poster. 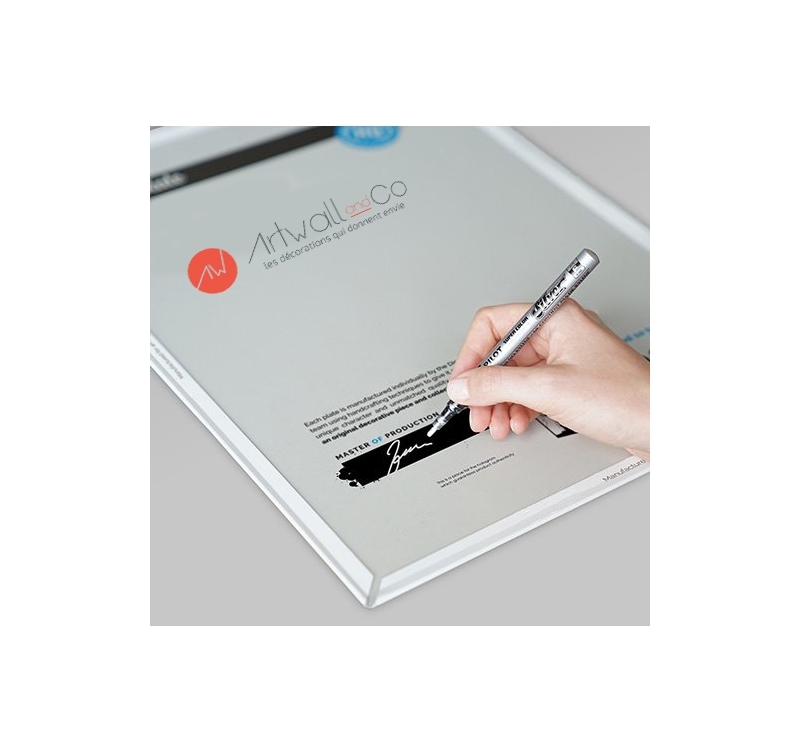 This original wall poster is delivered with his hanging system. The dimensions of this manga poster are 48 x 67,5 cm. 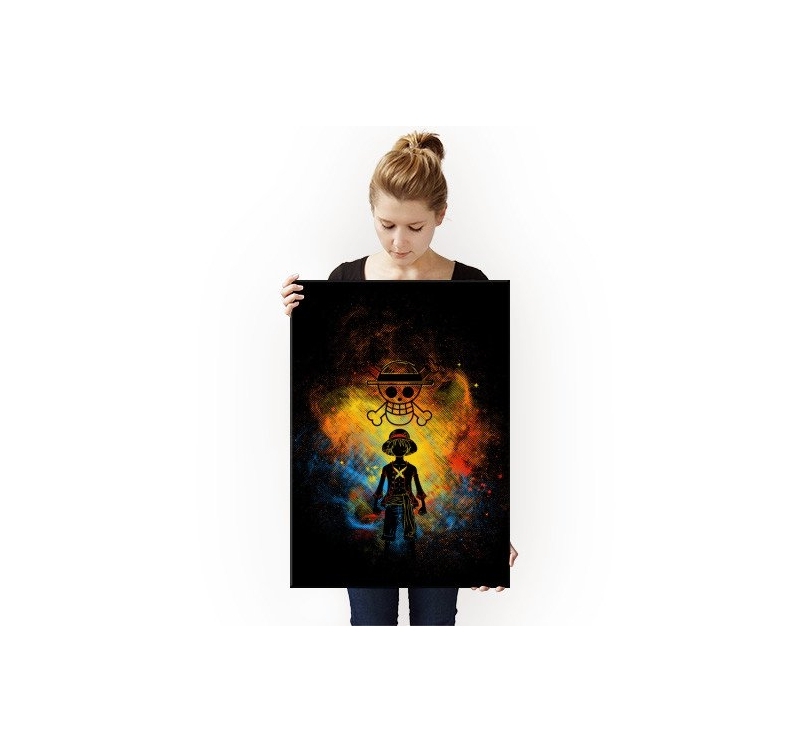 Free delivery in Metropolitan France and Belgium for this manga wall poster. The manga metal poster to 500 million Berrys ! 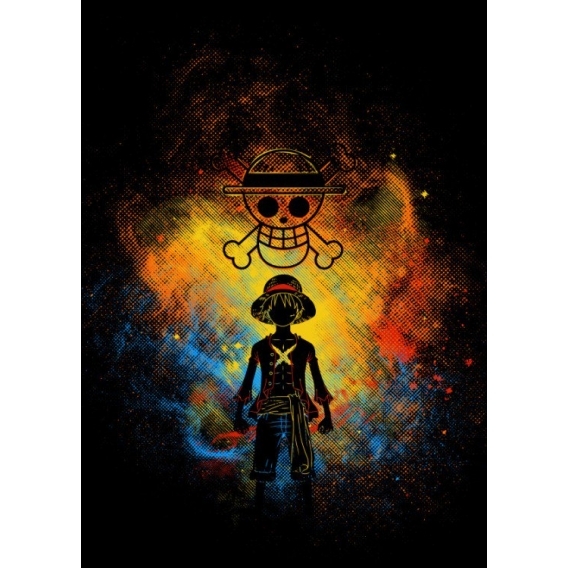 The straw hat is found in a unique version to decorate your walls with a collector metal poster. Its elastic power allows it to conduct epic battles and the pirates symbol is present on the wall poster to subdue everything ... This collector wall poster with warm orange tones allows you to have a real collection of your favorite manga . 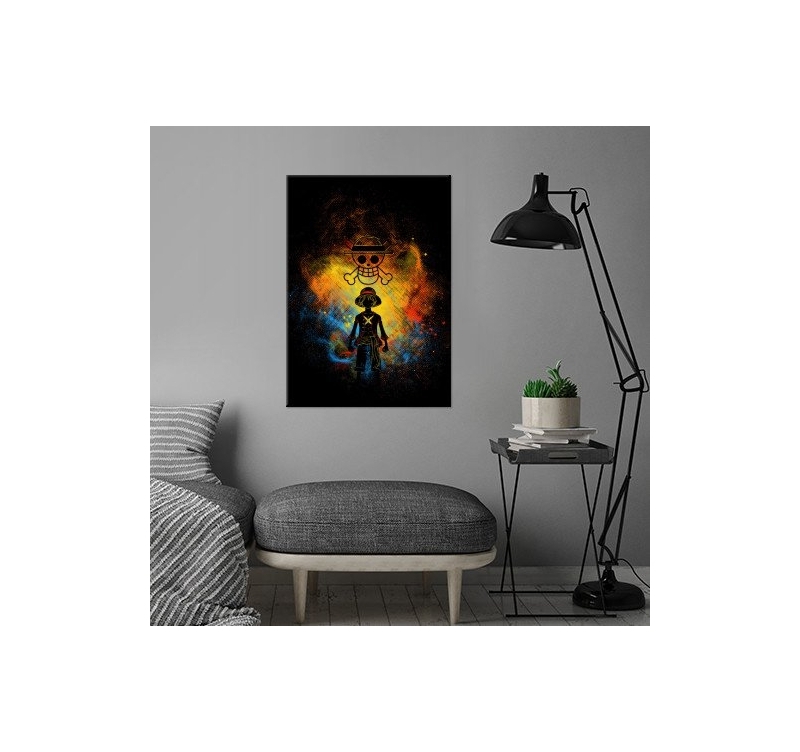 With a hologram and the signature of our production manager on the back of the design metal poster, this pirate poster will illuminate your wall. 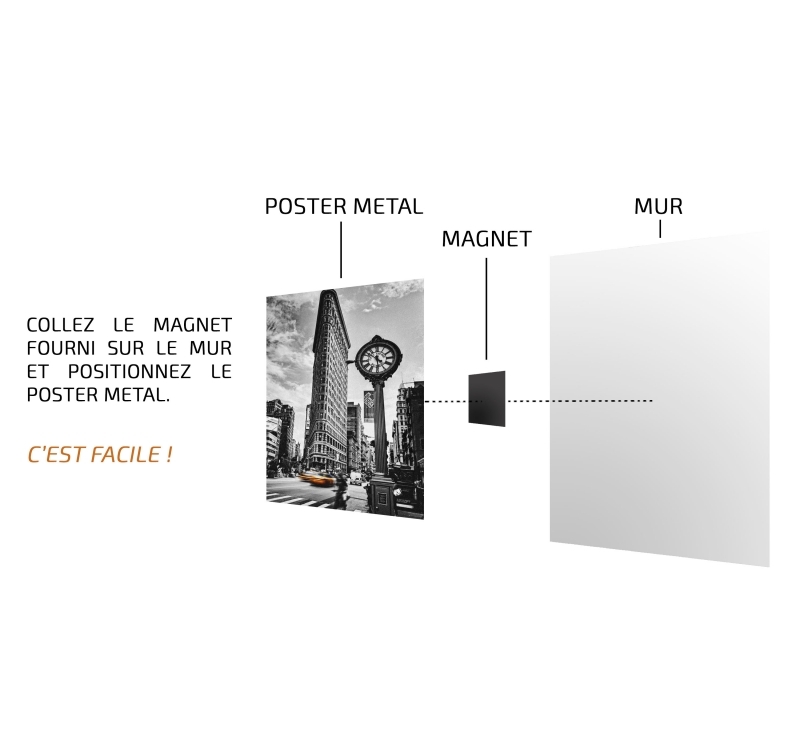 Its installation is very simple with our magnetic hanging system without hole on the wall.